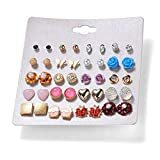 20 Pairs Of Different Styles Earrings Set, Each One Is A Different Design Concept, Has A Different Meaning, This Product Includes Different Series, Have It, Every Day Can Wear Different Earrings, Elegant And Bling Choose For Your Lover,Suit For Women Girl Kids All Ages. Let You Hold A Different Beauty Every Day. 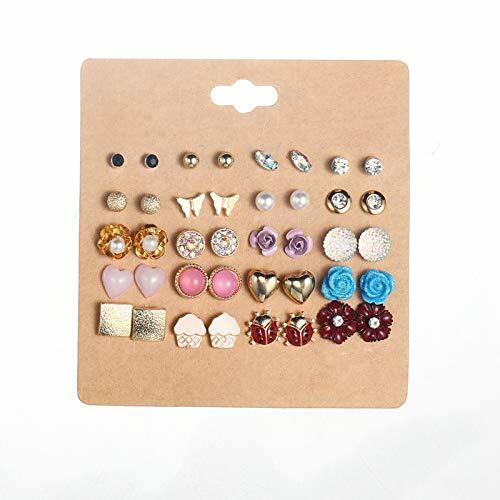 Material: Alloy Comfortable To Wear, Easy To Use. 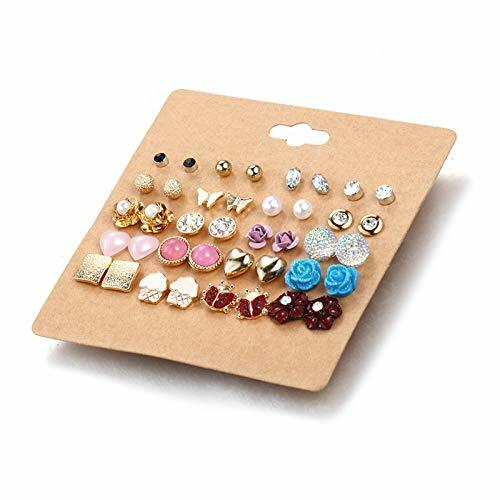 Cute Mixed Stud Earrings Set For Teen Girls And Women, Make You Look Good, Bring Elegance For You. 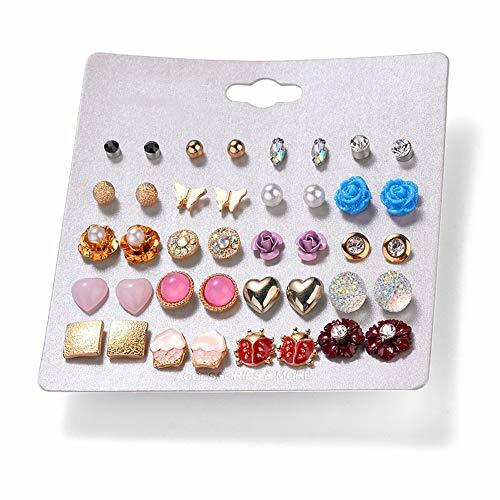 Packs Each Jewelry With A Velvet Gift Bag, Comes With Black Paper Card, Convenient And Clear. Easy To Storage And Use. These Stud Earring Hoops Set Suit For Various Occasions Such As Engagement,Wedding,Meeting,Party,Working,Holiday,Daily Wearing,Perfect Earrings Jewelry For Women,Earings For Teen Girls,Earrings For Toddlers,Such Beautiful Earrings Should Be A Part Of Every Womens Girls Earring Collection. 1.Ainiya Jewelry Specialize In Fashion Jewelry, Focus On Quality Products, Pay Great Attention To Customer Service. 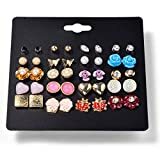 2.20 Pairs Stainless Steel Post Small Cute Multiple Heart, Animals, Pearls, Butterflie, Bows, Stud Earrings Set. 3. One Order Includes 20 Pairs In Different Colors, Affordable Set, More Choices For Everyday Wear. 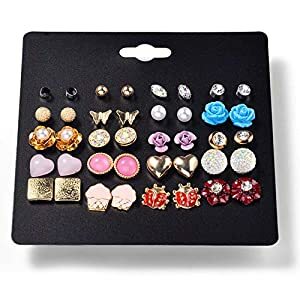 4.Bright Color,Fun Cute Earrings,Stylish Look,Great Quality Make A Good Choice For Everyday-Wearing Jewelry.Suitable For Different Ages Of People. 5.Suitable For Daily Wearing, Wedding,Working,Party Or On The Beach.Could Complement Any Outfit,Meet Your Needs In Different Occasion. 4. Please Don'T Expose Your Jewelry Under Strong Sunlight Or High Temperature.